Do you have any missing teeth? Perhaps you have a gap in your smile that is causing you embarrassment or interfering with the way that you eat or speak? You may even have a tooth replacement already but are becoming frustrated with its limitations and are looking for something more discreet and secure. Dental implants are considered to be the most superior tooth replacement solution available, and are just one of the functional and cosmetic dental treatments that we can offer here at Laser Family Dental, Troy, MI. Dental implants have a unique design which helps to set them apart from other tooth replacement solutions. Each singular dental implant has two key components. The first is an artificial tooth, created from a porcelain crown, which is custom-designed just for you and will form the visible part of your tooth replacement. The second, and arguably most essential to the success of each implant, is a titanium post. This acts as an anchor for the visible part of the tooth and secures it permanently in place. The titanium implant post is inserted into the jaw bone via the gum tissue. The placement is determined by a series of tests that check the viability of the jaw bone and checks that there aren’t any major nerves or other structures that could be compromised by inserting the post. Once in place, the bone closes around it in a process known as osseointegration. This takes a number of months, but once complete, the titanium post will be permanently secured into the jaw. The entire success of dental implants hinges on osseointegration. If the patient does not have enough healthy bone, it will not grow around the implant and the process will fail. Implant technology can be used to place single dental implants, or to replace multiple missing teeth on a denture arch that is attached to between four and eight implant posts. Dentures, which are another popular tooth replacement solution, are well known for slipping and moving around when patients eat, drink, laugh and more. This can be embarrassing and draw unwanted attention. However, the durability of dental implants guarantees much greater discretion. Unlike dental bridges, which are used to fill gaps but are reliant on support from teeth on either side of the space, dental implants rely only on their titanium post. This reduces the likelihood of causing unnecessary damage to adjacent natural teeth. One of the key reasons that patients opt for dental implants is because they look so natural, it can be difficult or even impossible to tell them apart from your existing teeth. Each porcelain crown is created specifically for your space and is glazed in a color that matches your existing teeth, enabling the implant to blend seamlessly into your smile. Dental implants can and should be cleaned just like regular teeth to keep them in optimal condition. They may not be able to develop cavities, but they can still become discolored and covered in unsightly plaque. Brush them twice a day and floss regularly to keep them looking and feeling great and to keep periodontal disease at bay. Dental implants have been proven to last longer than any other dental restoration. With proper care at home and by your dentist, you can feasibly expect your implants to last upwards of 25 years making it a fantastic investment in your smile and your dental health. These represent just a few of the key reasons why our patients choose dental implants over other types of dental restoration. Our dedicated and experienced team has extensive experience in assessing patients for the treatment and delivering high quality implants to our extremely satisfied patients. When you choose Laser Family Dental, your smile is in the safest possible hands. 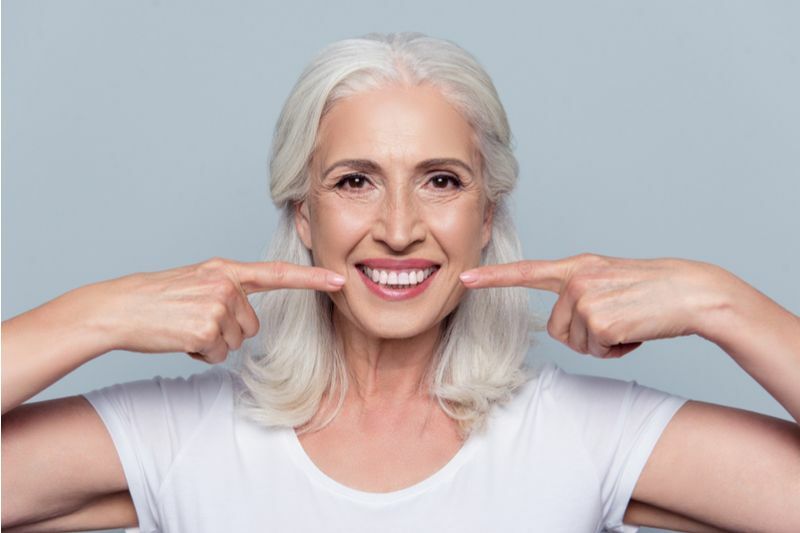 If you would like more information about dental implants, or if you are looking to schedule a consultation to discuss your suitability for this successful and effective tooth replacement solution, please get in touch with our dental offices in Troy, MI today.